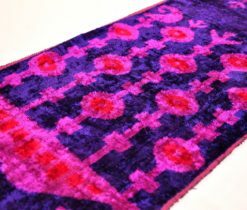 Looking for the best home textiles and handmade decorative items? Alesouk is presenting a Grand Bazaar of carefully crafted home textiles and exceptionally created handmade decors like never before! A market that displays everything you need for beautifying home has always been the most brilliant idea for wise buyers. Aspiring home decors with a touch of captivating handmade craftsmanship provides personality and attitude to the place and this is what this post wanted to walk you through. When making or building a home, it is always important to pay attention to beautification. But when it comes to decoration, even the smallest details need the most of your attention. 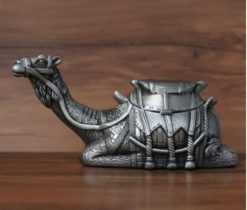 Alesouk’s Grand Bazaar Online provides amazing, enhancing masterpieces such as durable handicraft items and gorgeous Oriental decorations that are not just made with long-lasting ergonomics but are created with care as well. You deserve to know between a bright and fun home and a beautiful home but boring. 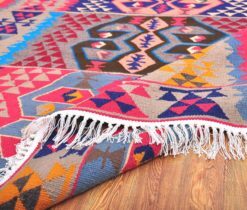 This Grand Online Bazaar offers the best selection of home textiles such as colorful Ikat fabrics in which you can add your own personalized touch. You can also find a wide variety of exquisite handmade decors such as decorative pillows which are made with love and care by our most talented artisans. Everything can be delivered right in front your door for your convenience and pleasure. There is no other product as eye-catching, budget-friendly and well-made as what this Grand Bazaar Shop has to offer. 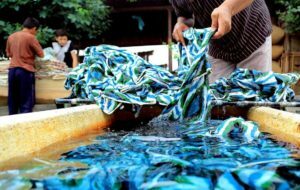 Since it provides both natural and man-made items from different skillful artisans, you’re going to have a piece of mind in using the products. Everything is provided with a diversity of cultures, style, and design. Anything that captures your interest would surely fit your space no matter where you are in the world may live. 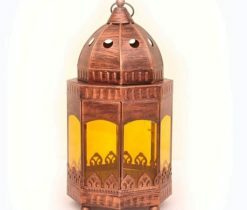 Quality home decors from Eastern and Central Asia with modern and traditional design combination are gathered together to give you an ease of shopping, without breaking the bank. Are you in need of first-class textiles and one-of-a-kind handicrafts? Alesouk Online Store will not let you down! At Alesouk, we greatly believe that you, our beloved customer, deserve more from us. This inspires us to do better every day and day while making sure that everything you get is a product of wholehearted service. We aim to help you feel the real sense of a home and the harmony of sprinkling appropriate decoration. We stay true to our original vision: offer high-quality stunning ethnic homewares, decorative textiles and excellent handicraft masterpieces at very affordable prices. A decoration is essential in every field of life. When it comes to home, the existence of decoration is far more important. A home, whether it is big or small, is considered to be an oasis of life. Since it symbolizes peace and serenity, make a beautiful and comfortable home by adding different luxurious accessories or give it a new look by adding up different masterpieces of artworks. Treat your home like a paradise with Grand Bazaar Online Shop! Alesouk’s Grand Bazaar Online Shop is a home of high-quality handmade artworks especially created by the world’s skilled art enthusiasts to make your home a fine-looking, relaxing dwelling place. Whether you need handmade home textiles or handicraft ornaments, the Grand Bazaar offers you a lot. A home is a place where we enjoy time with friends. It can also be a place where we feel the beauty of ourselves. This is why it deserves a mesmerizing treat – home décor. Without home decors, it is impossible to create amazing memories. So when building a home, think about getting decors that do not vanish so quickly as time goes by. Think about something that lasts. 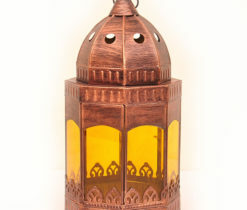 Grand Bazaar Online is a place where you can find everything that does not just beautifies – but lasts. Specialized art decoration products from Eastern and Central Asia have been gathered here to bring you extraordinary home decors and accessories for a more beautiful home experience. 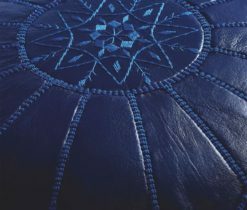 All items are made from the finest materials, carefully crafted by our skilled and artistic artisans bringing you a wide selection of attractive interior decorations designed to welcome the next generations. At Alesouk’s Grand Bazaar Shop, everything you need for making your house appealing can be purchased in just one click. All décors are made affordable ensuring that the quality is not compromised. Most of the decors are a blend of modern and traditional style for unique and stylish effect. Synchronism, harmony, and discipline in home decoration need a good consideration as you can’t design a house just because you can. You must be doing this with purpose. Your choice for decoration can either construct or destruct beauty. Therefore, choose home decors that are pretty suitable and appropriate to the design of your interior as this would be the key for a more gorgeous and presentable domicile. Since there is a number of different astonishing home decors in the Grand Bazaar Shop, finding the best that matches your very own preferences wouldn’t anymore be that hard. Do you want a change to your home? Let the Grand Bazaar make a difference! Adore the loveliness of upholstery fabrics? With the Designer Upholstery Fabric Online, you can hit upon the whole lot! Discover a wide range of spectacular colorful home decorations made by the most popular upholstery fabric designers especially formulated to match every home’s beautification needs. The presence of the modern Ikat fabric is one of their most eye-catching masterpieces, proudly created with deluxe upholstery materials where each one has been watchfully and traditionally hand woven. 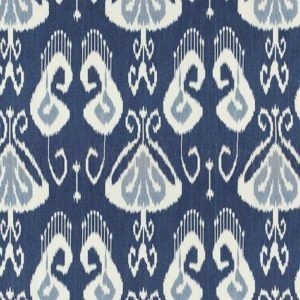 Ikat fabrics are originated from Uzbekistan and are produced in different parts of the globe to offer a choice of magnificently crafted, patterned fabrics useful from generations to generations. Take a look at designer upholstery fabric and get all you need at your own pace. The fabric has always been recognized as a vital decorating element. Designer Fabrics Online offers different types of fabrics with different attractive colors, designs, and styles for you to pick for. For all your home textile needs, Designer Fabrics Online will help you choose the best, hassle-free. Nothing compares with the role of upholstery fabric in improving home interior design. Since Ikat fabric is known for their complex patterns with a lovely touch of interweaving colors and sumptuous effect, your lonely boring home will turn alive! We understand how people want their home to be adorned. As most of them looked for stunning decorating elements with diverse types and colors, Designer Upholstery Fabric presents versatile fabrics that include cushion covers, hanging curtains and other good-looking fabric materials suitable for a wide range of interior designs. If you want to sprinkle eye-catching and attractive additions to your home, Designer Upholstery Fabric gathered the finest home decors that are greatly affordable and easily accessible. While delivering premium additions, all bazaar items are provided with a colorful blend of traditional artwork and modern masterwork. Upholstery fabrics do not just beautify but it’s more affordable compared to other home decors as well. Upholstery fabrics are not just all about a piece of material placed on your wall and window. You can also get one for your floor as lovely carpets. Whether you want to add a glorious statement of velvet for your room or you what to create a surprising outdoor living space, we have a huge selection of upholstery fabrics for different applications. With Alesouk’s Designer Upholstery Fabric Online, you can create your own inspired space by adding luxurious upholstery fabrics that turn boring home ornaments to life! In everything we do, we share a piece of ourselves. Handicrafts are the unique expression of art and creativity of artisans. Handicraft Items Online offers extraordinary handmade items for different creative designers. Our most skilled artisans will give you decorative and stylish crafts that promote cultural heritage and long-lasting ancient tradition. 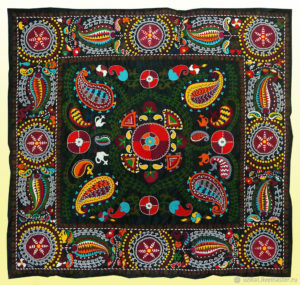 Handicraft items preserve traditional knowledge. It shows how creative and talented humans can be. It does not just symbolize history but also represents the beauty of art. 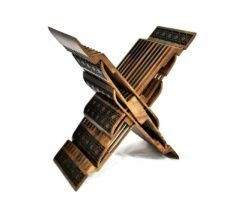 Alesouk’s Handicraft Items are made with high-quality materials that are crafted with care in mind to provide a dramatic work of art. We proud to present our Decorative Throw Pillow covers and cushion as our artisan’s best selling success. 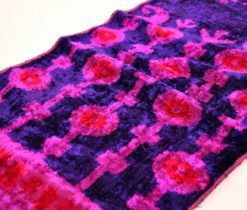 This masterwork has been designed with vibrant colors and spectacular patterns to make your space attract more guests. Traditional pieces do not have to be dull and boring. 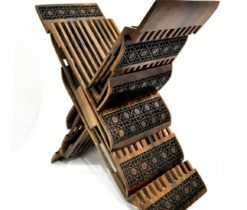 These crafts will bring out the beauty of the past while matching the beauty of the modern thing. 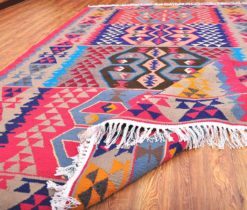 Most of the crafts are made with Ikat fabrics from Uzbekistan to make sure you get smooth silky pillows for your adorable living space. 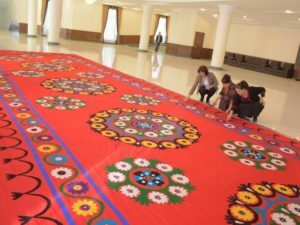 Uzbekistan is the center of decorative weaving crafts. 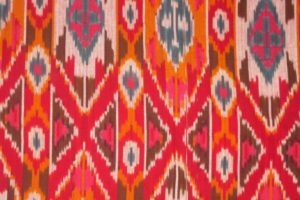 We gather different Uzbek-inspired items to bring you the beauty of handmade traditionally woven pieces which are both great for modern and traditional adornments. 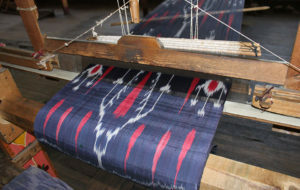 It is worth to keep those ancient traditions alive as it shows us the way of creating fabric designs through resist-dyeing the threads right before the fabrics are woven. This one of a kind masterpiece becomes notable all over the world and continues to attract interest from local and international designers. 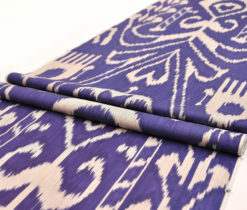 The traditional hand woven Ikat designs are great in delivering a cloud-like sense of softness. This design also complements a diverse home interior design so you can find it suitable for any contemporary or traditional room ornamentation. 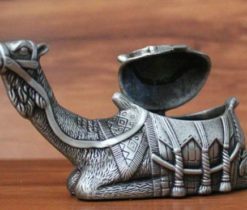 People have always been fascinated by the beauty of Uzbek Handicrafts. 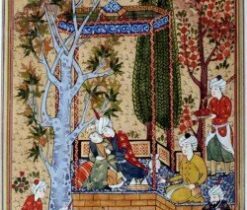 The history of Uzbek arts began centuries ago but the chain of those developments and the artistic tradition has always been maintained even nowadays. 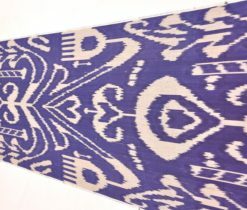 It is not hard to believe why our craftsmen and art masters are putting their hearts and souls into work to create unique house adornments inspired by Uzbek talents. 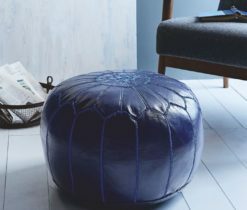 Alesouk’s wondrous market online does not just provide inimitable pillow covers and cushion but is also a place where you can find the hottest bazaar deals of exceptionally created home textiles and decorative items. Follow us on social media for the latest in inspiration, trends, decorating ideas and more. It’s all style, all the time. Tag it #alesouk.